Sign up for Broadjam today to follow Kina Renee, and be notified when they upload new stuff or update their news! Kina Renee is an American Singer, Songwriter and Actress. Kina Renee's musical influences are of her Birth place, Detroit's on Motown Records. Kina Renee' Participated in the World Renown Mosaic Youth Theatre,these beginnings lead Kina Renee to discover Music Entertainment. After Mosaic Kina went on to be a part of R&B girl groups and while doing this Kina Renee' had the opportunity to be part of the opening acts for many entertainers such as, Kanye West, Jamie Foxx, Goapele, and Huey. 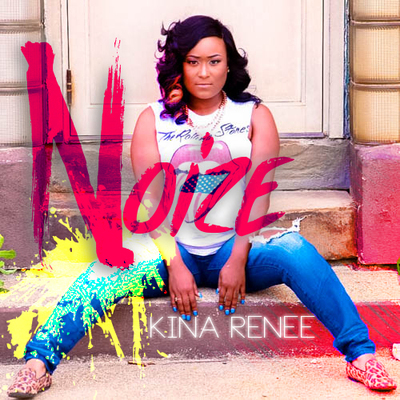 After the group disbanded in 2008, Kina Renee' took this opportunity to brand herself as a solo artist by joining local record label teams as a vocal producer, songwriter, and background singer. Kina Renee has also been featured on numerous collaborations with some of Detroit's artist and has been getting many supportive responses throughout the years. Kina Renee recently completed her first Solo Pop/Dance E.P and the first single "Noize" is available now on iTunes. New Single Dance coming in July!